half link? magic gear maybe ... whats up with the small cog on the right? Beautiful frame. It deserves a rigid fork, I think. yep, I found the magic cog (21T). 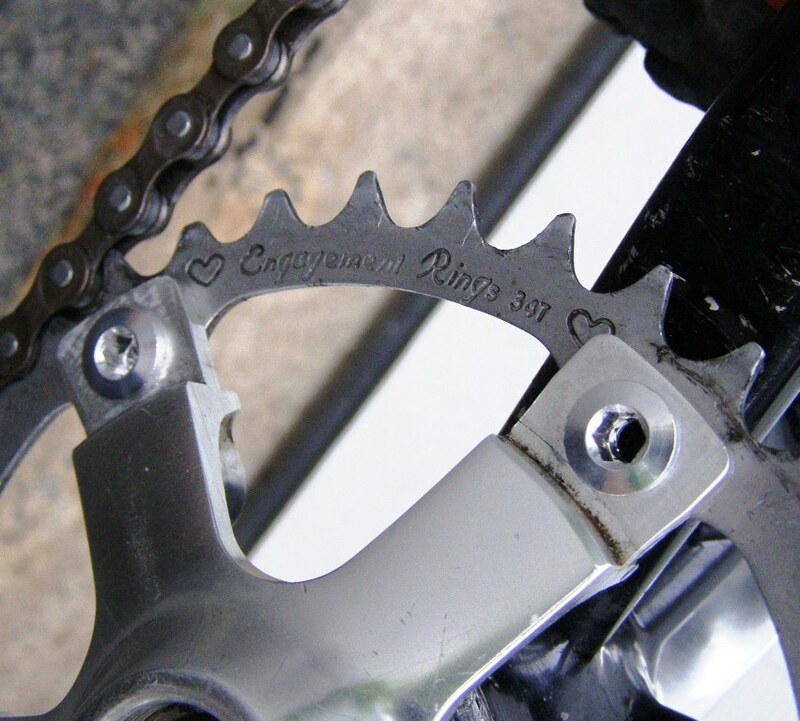 I used old cassette spacers from 2 cassettes (white and black spacers) and a 12T cog to give the lock ring something to hold onto. I have a Tange rigid fork that I might switch to but the bare-bones Manitou Spyder smooths things out OK for now but has limited rebound dampening. I purchased the Manitou on eBay for $24 last winter to use this bike in the snow. put the Tange fork on? Love the grips! I have a set on mine. Haven't seen them in ages anywhere. Yeti ODI's, I like them also but I'm going to put Ergon GP1's on soon. Much more comfortable. Yep, fairly firm, but they have a little bit of float/wiggle in them which helps. Now that I have gone to a rigid front end, I am thinking I wouldn't mind trying something FOAM! exactly... 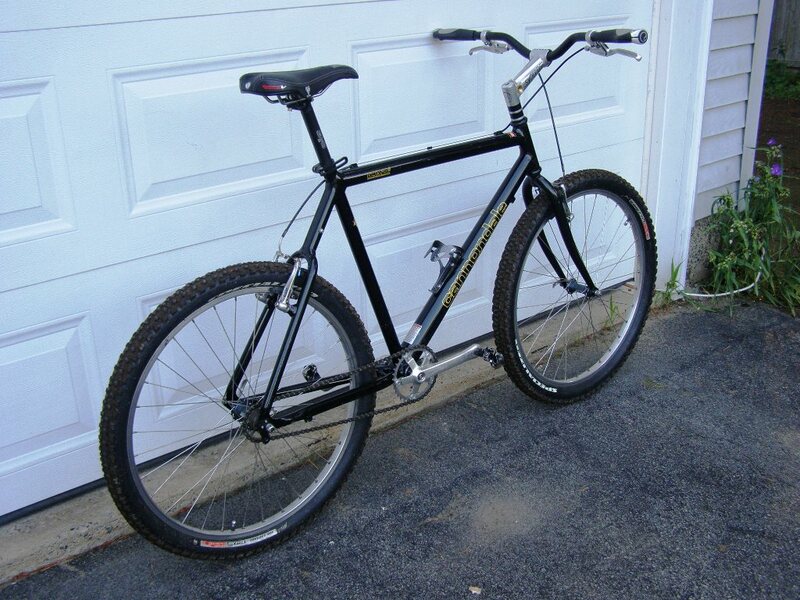 I'm thinking about (based on this threads comments) to put my rigid fork back on and I'll need the Ergons to help soak up bumps and not beat up my hands/forearms. Nice! Now that bike will go years longer. Great way to use old parts, too! Thanks, I wanted to do this on the cheap and see if I liked it. Loads of fun! 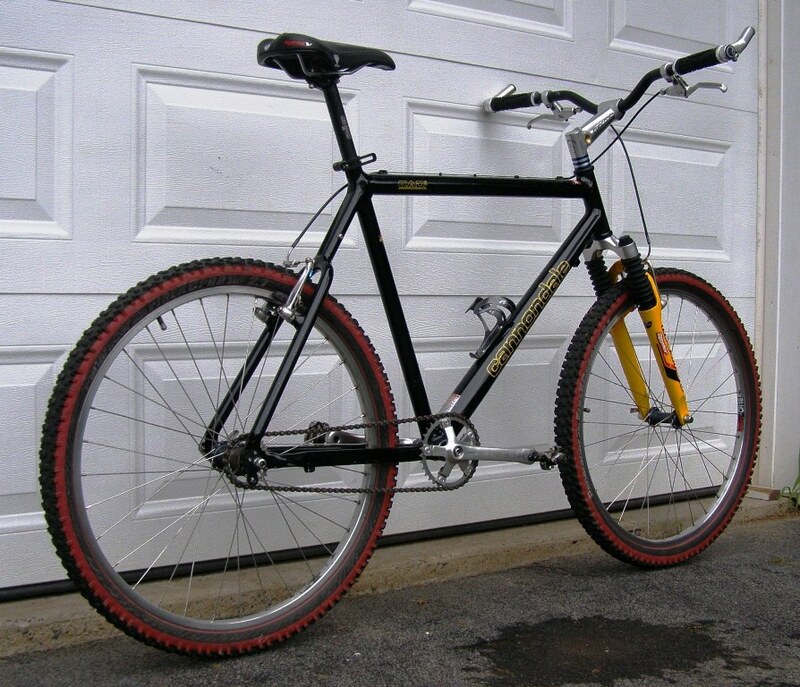 Threads like this make me miss my old Gary Fisher Big Sur that was stolen a few years back. 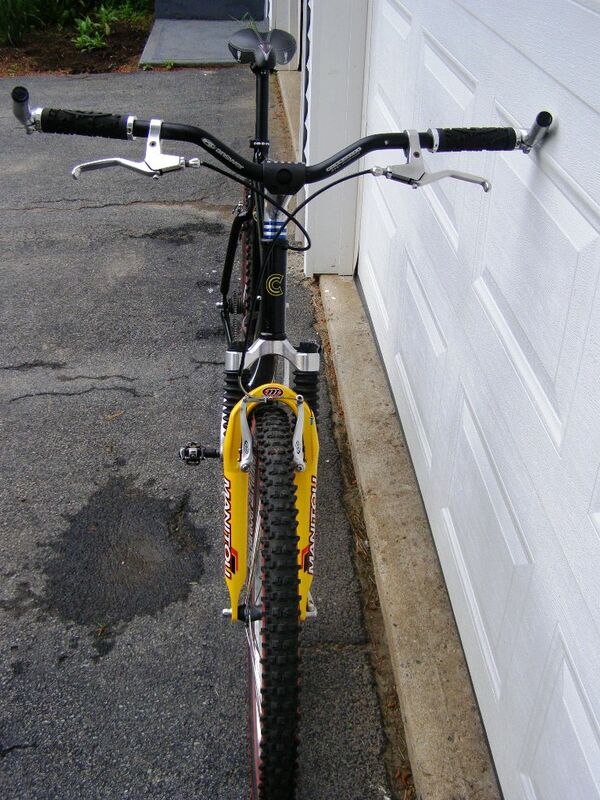 Wish I still had that bike. Build looks awesome. 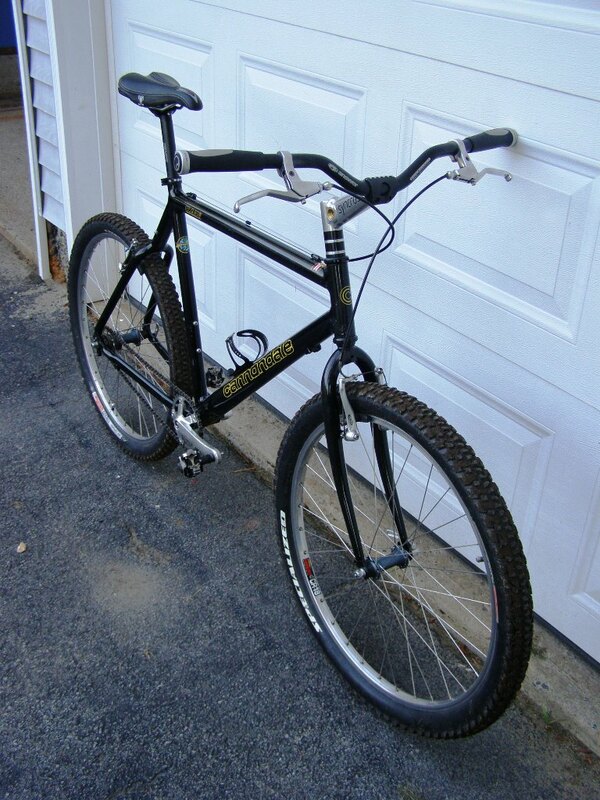 The only thing I would change (personal preference) is the bar ends look kind of off with the riser bars. I'd go flat w/ bar ends or just riser only. I agree.... I just took them off today and put on the Ergon GP1's. Hooray, no more bar ends.... I had them on because I needed to find a comfortable spot for hands quite often. I have GP1's on FS ride and they are fantastic. I Made some changes last night as I fine tune this recreation. Took the Manitou off and put on the Tange rigid. Switched out the rubber for fresh larger volume Spesh Captains that I had laying around. I then changed the grips to Ergon GP1's. I took it for a ride this morning and man was it fun! Fast and handled like a dream. 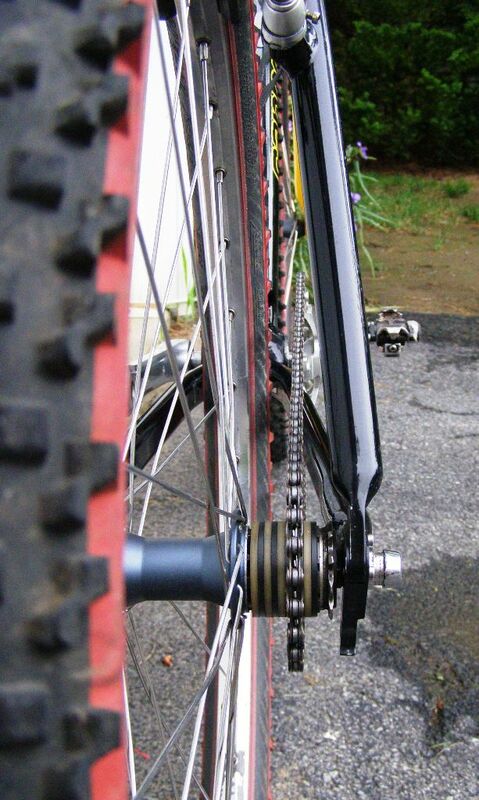 I think I'll get a chain tensioner today so I can change cogs when I want to. Much better, not only was the old RS susp fork fugly, I bet the riding performance will be even better with this setup. RS, Manitou, Fox = one of those bouncy fork things! You got the jest. After reading Bike Snob NYC's new book, I may be having symptoms of the Retro-Grouch for my anti- antics of gears and susp. Much, much better! I love it! Great! I love old bikes that are given a second life as a SS.